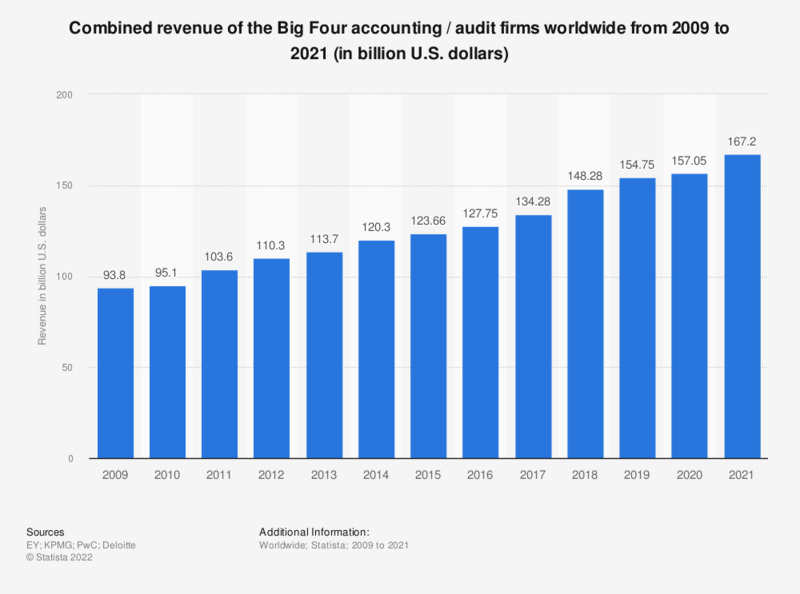 This statistic shows the combined revenue of the Big Four accounting / audit firms worldwide from 2009 to 2018. In 2018, the combined revenue of Deloitte, EY, PwC and KPMG amounted to 148.28 billion U.S. dollars. * The Big Four consist of Deloitte, KPMG, EY (Ernst & Young) and PwC (PricewaterhouseCoopers).